Is the HomePod a canary in a coal mine or a canary cage? Apple announced that the HomePod would not ship until “early 2018” and as with anything that happens with the company we must now dissect how devastatingly terrible and awful it is. Christmas will be a little disappointing for some Apple fans. Yes, Jony Ive is no longer appearing as Santa at the Valley Fair mall after last year’s labor dispute with the elves. He simply won’t cross the picket line. He won’t do it. And the company’s holiday season slip-up may be another sign that its crown as the disciplined king of manufacturing is becoming tarnished. NO APPLE PRODUCT WAS PREVIOUSLY EVER DELAYED EVER, RECALLS AREA HEAD INJURY SURVIVOR. OK, that is a strawman comeback because she didn’t say there never were any delays previously. But if God didn’t want us to make strawmen, then why do they burn so pretty? It has been odd that Apple merely said the HomePod would be ready for sale in “December” but had not provided a more specific date since the summer. Very odd indeed for the company to give just a month and not a specific ship date for… What’s that? 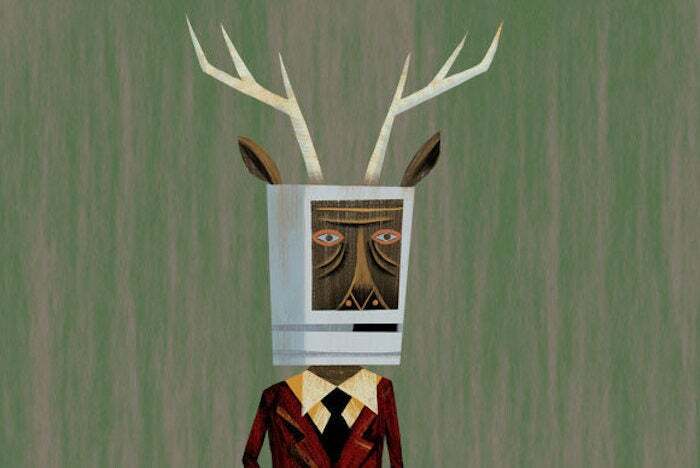 Oh, the Macalope is being fed this late-breaking information from the original iPhone announcement in 2007. Let’s go back in time to Steve Jobs speaking from Moscone Center. Oh. Huh. How about that? This delay doesn’t run as counter to history as Ovide makes it out to. And how big was the mobile phone market in 2006, 2007 Steve Jobs? The Macalope is not at all saying the HomePod will be the kind of product the iPhone was, but the iPod and iPhone show pretty categorically that Apple can enter a market that’s established and do pretty well. Heck, people were even claiming the wearables and augmented reality markets were all sewn up and it was too late for Apple. A delayed product on its own isn’t necessarily a big deal. The troubling thing, though, is product delays or other problems are no longer unusual for Apple. Are they more usual now? Apple’s delayed two entirely new product categories in as many years, but seemingly both for software reasons, not hardware. So, if there’s a problem, it isn’t the manufacturing one that Ovide seems to think it is. …it’s not unusual for Apple to have early troubles making new iPhone models, or at least trouble making enough to meet demand. It’s not unusual for Apple to not meet demand with enough supply. The problem, you see, is the supply-demand imbalances. …especially when Apple needs the revenue lift from new products more than ever. Yeah, the current quarter looks real troubling for Apple. Nobody likes product delays. But if this delay had to happen, it probably couldn’t have come at a better time for Apple.